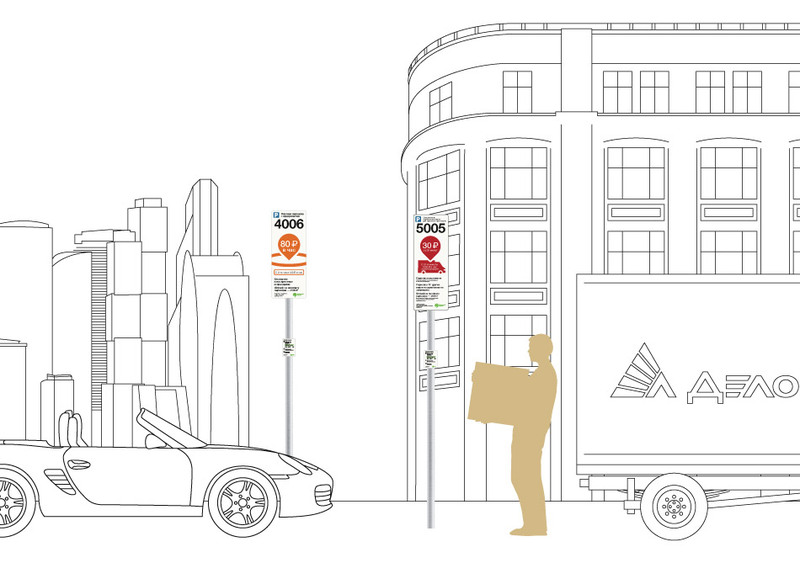 Task: to make parking signs more vivid and clear. On June 1, 2013 Moscow switched to paid parking for cars in the center of the city. Since then, urban parking space has increased considerably. 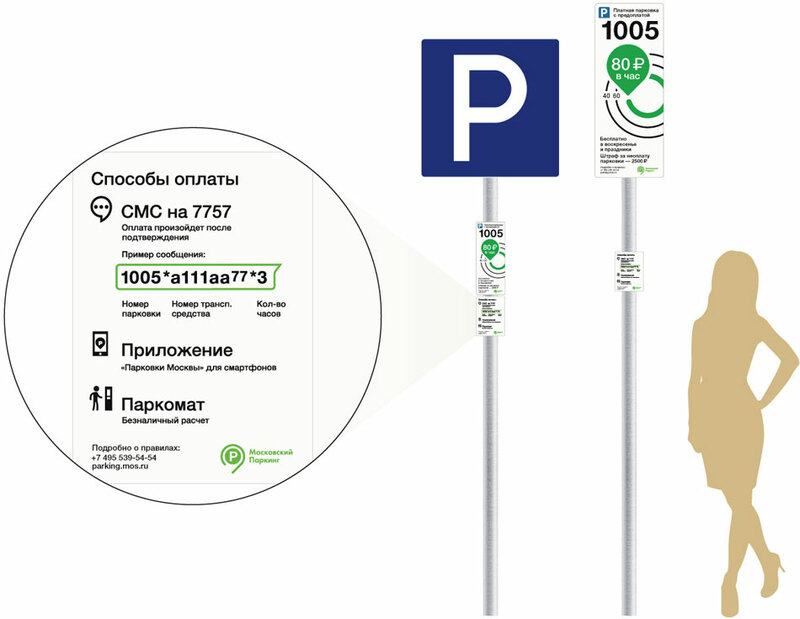 By the request of Moscow Parking various signs for parking spaces were designed at the studio. 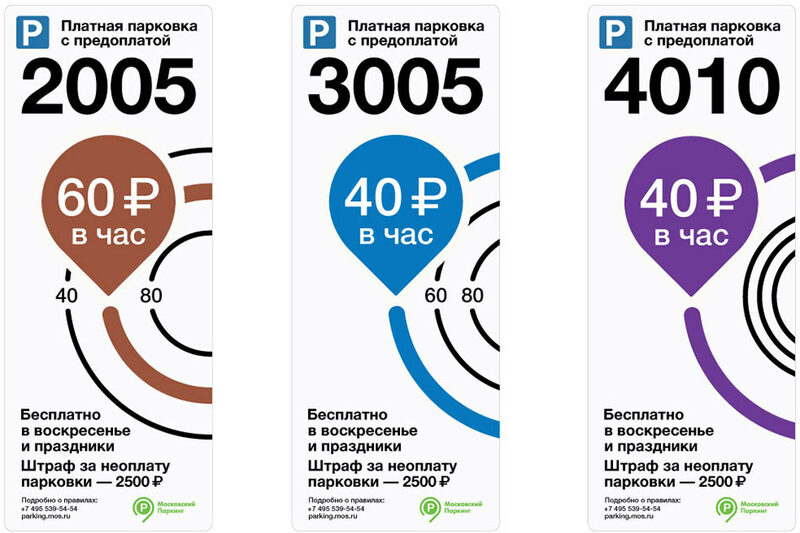 The signs with information on parking rates feature Moscow’s ring roads. Each parking zone has its own color and symbol. In addition to the traditional parking zones two new ones were introduced: for parking within Moscow City and for freight transport. These zones have progressive rates which is why bright colors were used to make them stand out. Information signs provide rate details. Two types of signs were created, small and large. The large ones are put on individual posts and come with an additional sign with information on payment methods. The small ones are designed for placement on posts of other road signs. Sign placement height was carefully chosen to accommodate the height of both male and female drivers. The signs are only slightly wider than the posts which prevents them from tearing pedestrians’ clothes.